Available exclusively from Camaro Collection! 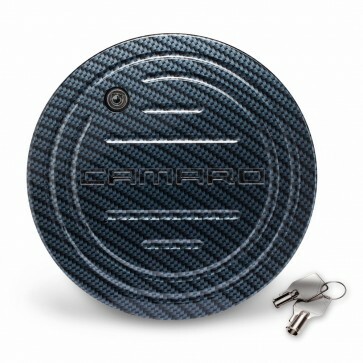 Officially GM-licensed Carbon Fiber pattern Locking Fuel Door with Camaro logo. Made from premium aluminum billet Hydro-Dipped using a water transfer ink-based technique, providing the Carbon Fiber look, and then finished with an automotive-quality clear coat. High quality lock for security with two keys included. Fits all Generation 5 Camaros. Installation instructions included. One year manufacturer's warranty. Made in the USA.